A powerful 100W* of output power is provided by the newly designed power amplifier circuit, which employs bipolar transistors in parallel. The combination of the aluminum die-cast chassis and effective cooling fan ensures stable output for continuous operation. 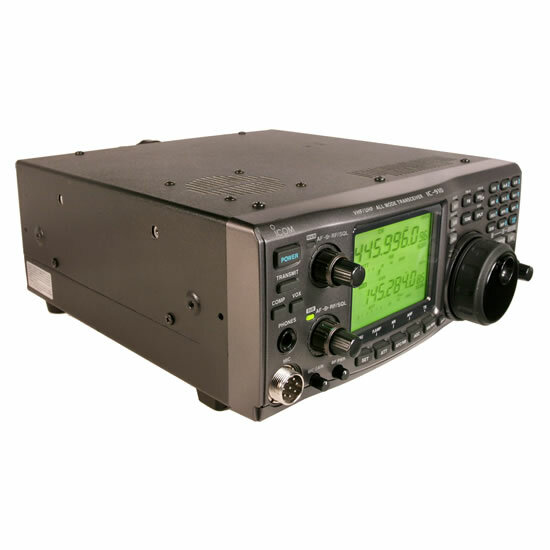 The IC-910H offers 0.11µV of high sensitivity (at 10db S/N on SSB, CW mode), while the image and spurious responses are minimized for good signal fidelity. 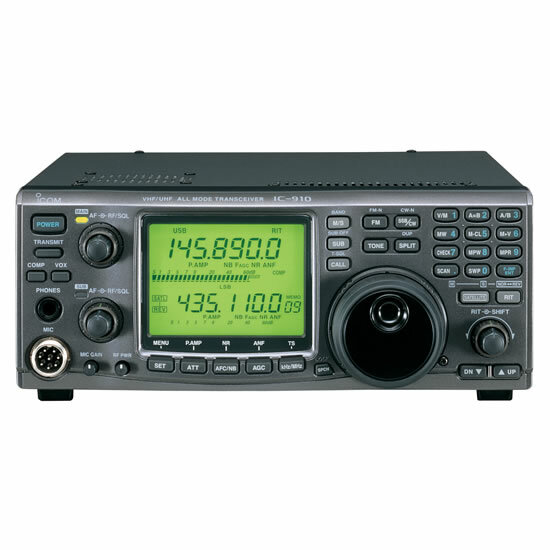 Used with the optional preamplifiers for each band, indispensable for obtaining weak signals in DX or satellite communication, you will experience top class receiving characteristics in the VHF/UHF bands. 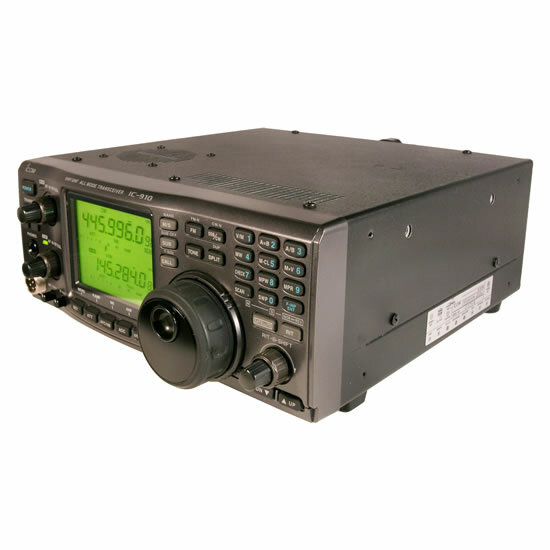 By installing the optional UX-910 1200MHZ BAND UNIT, the IC-910H becomes an all mode tri-band transceiver. You can also enjoy cross band and full duplex operation. Measuring only 241(W)×94(H)× 239(D) mm, and weighting 4.5kg (without UX-910)*, its compactness and light weight is convenient for field operation. 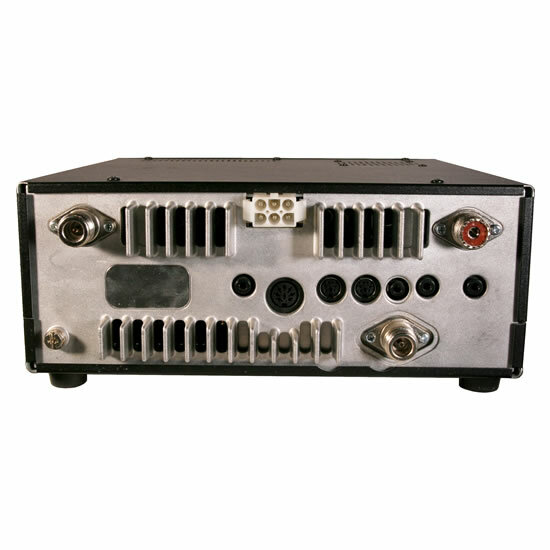 The IC-910H has two data sockets for simultaneous two band packet communications. Setting of the packet communication can be made easily in the set mode. The optional AG-2400 converts a 2.4GHz satellite downlink signal to a 144MHz signal. Coupled with the satellite mode of the IC-910H, the US mode and LS (UX-910 required) mode satellite operation ready for use. Down-to-earth satellite operation in your shack!